North Carolina Botancial Garden Conservation Botanist Amanda Faucette (right) and her intern Jake Dakar (left) search for seeds on the Delmarva Peninsula in Brownsville, Virginia, for Seeds of Success, a national native seed collection program led by the Bureau of Land Management within the U.S. Department of the Interior. A brimmed hat keeps the sun out of Amanda Faucette’s eyes as she leans down to grab something in the grass on the side of Mashoes Road, off of U.S. Route 64 near Manns Harbor. Cars speed by as she wanders through the weeds. She hears the sound of rubber halting on pavement and turns to see an elderly man getting out of his car. He wants to know what she’s doing on the side of the road, and he’s surprised to hear she’s collecting seeds from inside the spikey green fruit of a sweetgum tree — a common, weedy plant. “Usually, when we’re on the side of the road bent over in the weeds, people look at us like we’ve lost our minds,” Faucette says with a laugh. The conservation botanist at the North Carolina Botanical Garden, Faucette is integral to the garden’s role in Seeds of Success (SOS) — a national native seed collection program led by the Bureau of Land Management (BLM) within the U.S. Department of the Interior. Since 2001, the SOS program has collected seeds to restore native plant species after major natural disasters like wildfires, hurricanes, and flooding. Until last year, most of that seed collection took place in the western United States, where BLM administers 264 billion acres of lands — they manage next to none in the East. Faucette and her four interns for the project often found themselves knee-deep in wetlands, salt marshes, and estuaries. “We’d be out there in waders with pole pruners collecting seeds from plants that most people consider weeds,” she says. Seed type and quantity determined the locations they visited. “We had to find areas where there were enough of these plants to collect a minimum of 20,000 seeds per species accession, but not negatively impact the native seed population in that area,” Faucette says. Space and resources weren’t the only hurdles the interns came across. On a few occasions, they stumbled upon black bears. And one intern got her rental car stuck in a ditch at Alligator River National Wildlife Refuge. A handful of locations required the interns to hop into a boat. 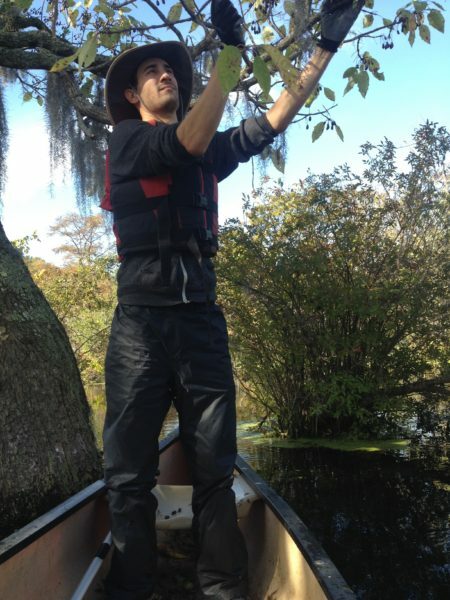 “They’d be in canoes beating off the cones from bald cypress and fruits from water tupelo trees,” Faucette says. Faucette and her team collected approximately 4 million seeds this past year — and they still have one more year to go. So far, the project has gone very well and completely according to plan. It actually exceeded expectations. SOS East is actively seeking funding for continuation of the project — and perhaps an expansion. “Right now, SOS East is concentrated on the Mid-Atlantic Region because of hurricanes and flooding,” Randall says, “but I’d like to see it expand to the South-Atlantic coast as it’s more vulnerable to hurricane damage than the Mid-Atlantic. Plus, hundreds of thousands of acres there have been burned from wildfire.” Forty percent of the nation’s forests reside in the South, which leads the nation in annual wildfires, according to research from the USDA Forest Service Southern Research Station. In 2007 alone, several wildfires along the Georgia-Florida border near the Okefenokee National Wildlife Refuge burned approximately 600,000 acres. Local seeds are ideal for restoration thanks to ecotypes — genetically distinct plant variations that have adapted to specific environmental conditions. “The ecotypic seed phenomenon is real,” Randall says, “so if you want to have a successful project, you want seeds from plants that are locally adapted for those sites.” And the North Carolina Botanical Garden could be a hub, able to help local agencies with restoration and rehabilitation after natural disasters strike. The project needs to go beyond seed collection, Randall stresses, to truly be successful. Four million seeds sounds like a lot, but that only goes so far in restoration. Growers will need to plant those seeds to produce thousands more in seed increase plots — an economic driver, Randall says, for people to open seed conservation businesses. Ernst Conservation Seeds, located in Pennsylvania, is one of the only companies in the eastern United States that grows, processes, and sells seeds. 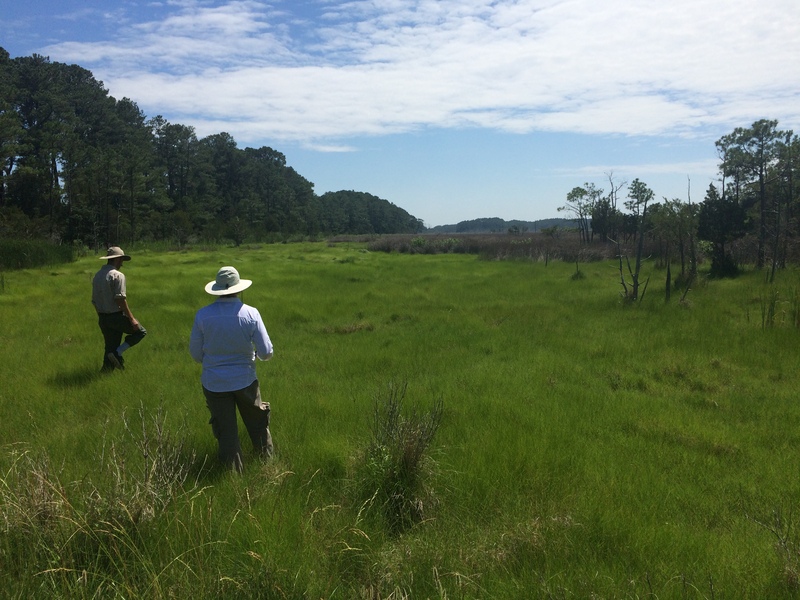 Amanda Faucette is the conservation botanist for the North Carolina Botanical Garden. Johnny Randall is the director of conservation programs at the North Carolina Botanical Garden and adjunct professor in UNC’s Curriculum for the Environment and Ecology, a multidisciplinary degree program that seeks to foster an understanding and appreciation of ecological systems and future environmental problems. The North Carolina Botanical Garden, a unit within UNC-Chapel Hill, has been a leader in native plant conservation and education in the Southeastern United States for more than 40 years. It furthers the university’s mission of teaching, research, and public service through its own mission: To inspire understanding, appreciation, and conservation of plants in gardens and natural areas and to advance a sustainable relationship between people and nature. SOS East is a collaboration among the North Carolina Botanical Garden, the New England Wild Flower Society, and the Mid-Atlantic Regional Seed Bank. It began as a two-year project funded by the U.S. Department of the Interior.